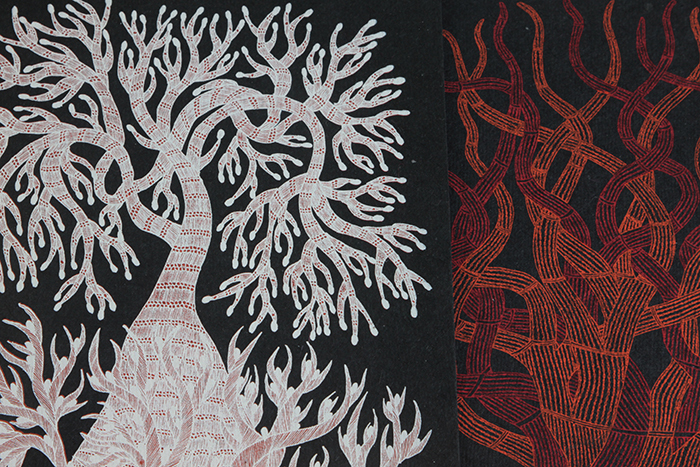 We think these screen-printed notecards by Tara are exquisite! 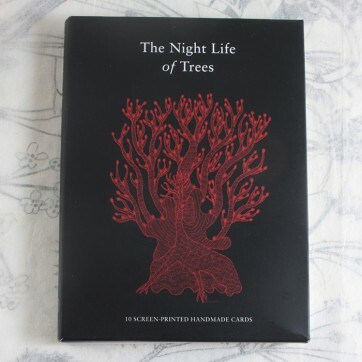 They feature images from the book ‘The Night Life of Trees’. 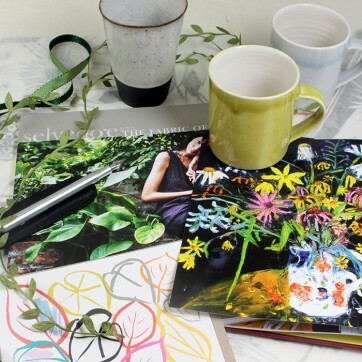 Each pack contains 10 cards of 4 designs printed onto black handmade paper. They are created in the Gond tribal art style from Central India. 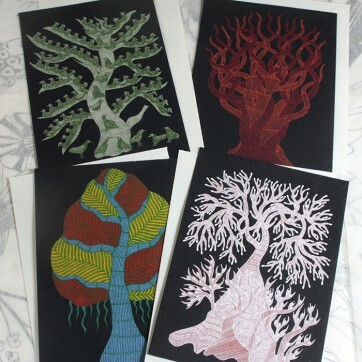 ‘In Gond belief, trees stand in the middle of life, and the spirit of many things lie in them. They are busy all day, giving shade and support and shelter and food to all. Only when night falls can they find rest for themselves, and then, under quiet dark skies, the spirits that live in them are revealed.’ Created by three of the finest living artists of the Gond tradition, these are a tribute to the majesty of trees, and to old ways of relating to the natural world. 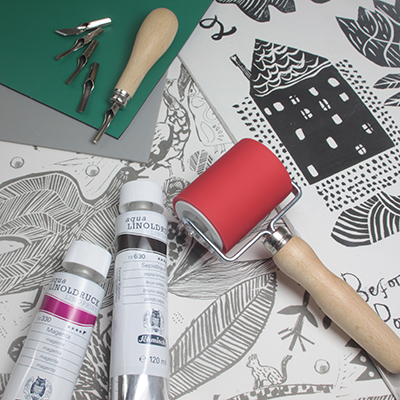 Back in stock, all our bestselling printmaking equipment including inks, rollers, vinyl, lino and cutting tools. Invest in a good quality roller like this Abig Heavyweight Beech Handled Roller and it will last you forever. Brilliant shades of 15 Schmincke Linoprint Colours are available to overprint and intermix as you wish. 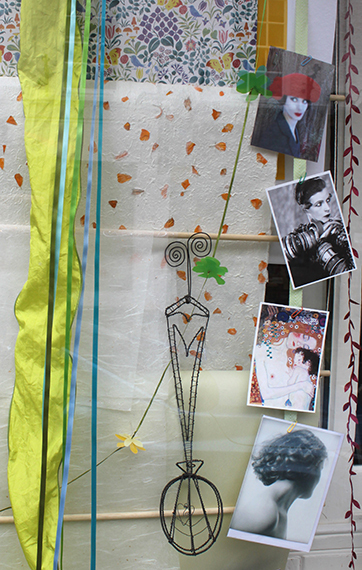 Our Japanese Double-Sided Vinyl is a soft easy to cut surface that can be used to print on fabric as well as handmade and printmaking papers. All available online. Of course we still stock large 300ml tubes of Seawhites Block Printing Ink, very affordable, not flat, matt and dead, but a good quality water-based ink for the student and beginner. Available from our shop in Abergavenny only.